With time , The windows installation drive in our computers piles up a lot of hidden junk files . These files include windows log , temporary files , thumbnails, error dump files and a lot more . Most of these files are not needed by your computer and occupy a significant amount of storage space . 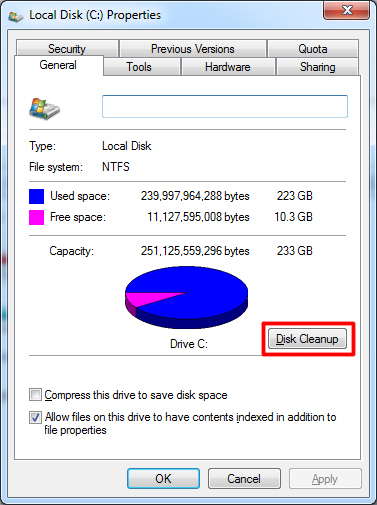 Deleting these files will free up a significant amount of space on your windows drive which can help you to speed up your PC and other purposes . Lets use this tool and free up some space . 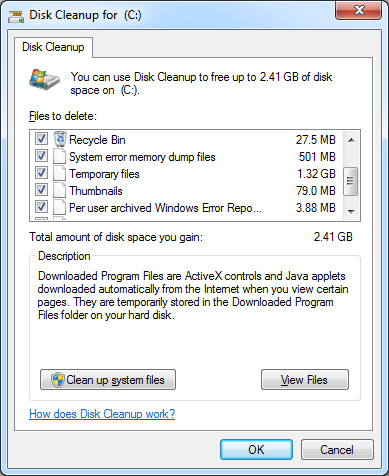 Step 2: Click on the disk cleanup button and wait for windows to scan for junkfiles . Step 3: Around 2.41 GB of my windows installation drive was comprised ofjunk files . You can select from the list of junk files to delete . If you think some of them might be important to you then you can deselect them .